Shawn Mendes is the newest teen discovery from social media in the hunt to find the next Justin Bieber. And have they found him? No. What they have discovered is an extremely talented sixteen year old who with the right exposure and guidance could grow to become something special. 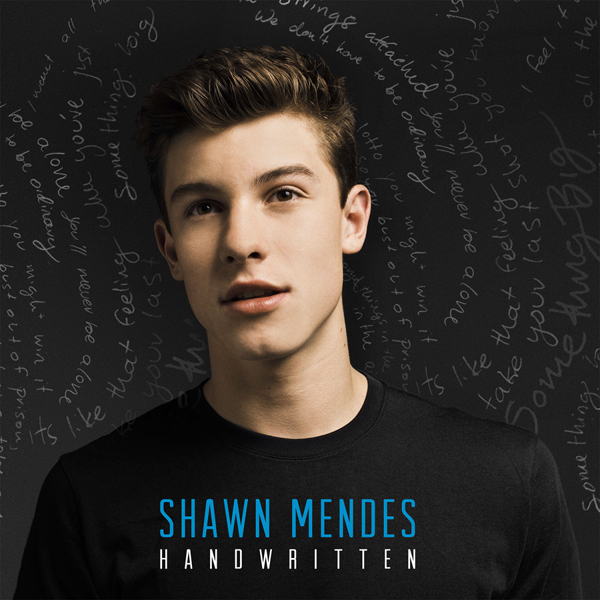 For a debut release “Handwritten” has the right amount of intimacy and introductory material that will help Mendes gain a solid fan base and transform as an artist. I’m glad that they haven’t tried to over compensate with his sound and have allowed him to stick to his acoustic pop sound that he cemented on Vine with his covers. Co-writing 9 out of the 12 tracks is quite impressive for a 16 year old and showed at times a mature understanding for songwriting and life. These highlights included the melodic “Never Be Alone”, “Aftertaste” and the inspiring “Something Big”. But there were a lot of “album fillers”, cheesy and lackluster songs that didn’t resonate well through studio recordings. Some of these were “This Is What It Takes”, “I Don’t Even Know Your Name”, “A Little Too Much” and the cringe worthy “Kid In Love” and “Strings”. His lack of life experiences underlined some of the lyrical problems but for his young fan base they will probably love these songs. I feel bad saying it but two of the best songs written on the album were ones he didn’t collaborate on. “Life Of The Party” has already become a surprising hit on some charts across the globe but it was the Teddy Geiger penned “Stiches” that got me really excited. This relaxed summer jam compliments Mendes’ vocals and embraces his age and personality in a way that no other song on the album does. With the right amount of time, mentoring and experience Shawn Mendes will be a force to be reckoned with but right now I think he just needs to enjoy the rest of his early teen years. As for his debut album “Handwritten”, his immaturity tainted the majority of the tracks but there are a couple of impressive standouts that will be added to my playlists.